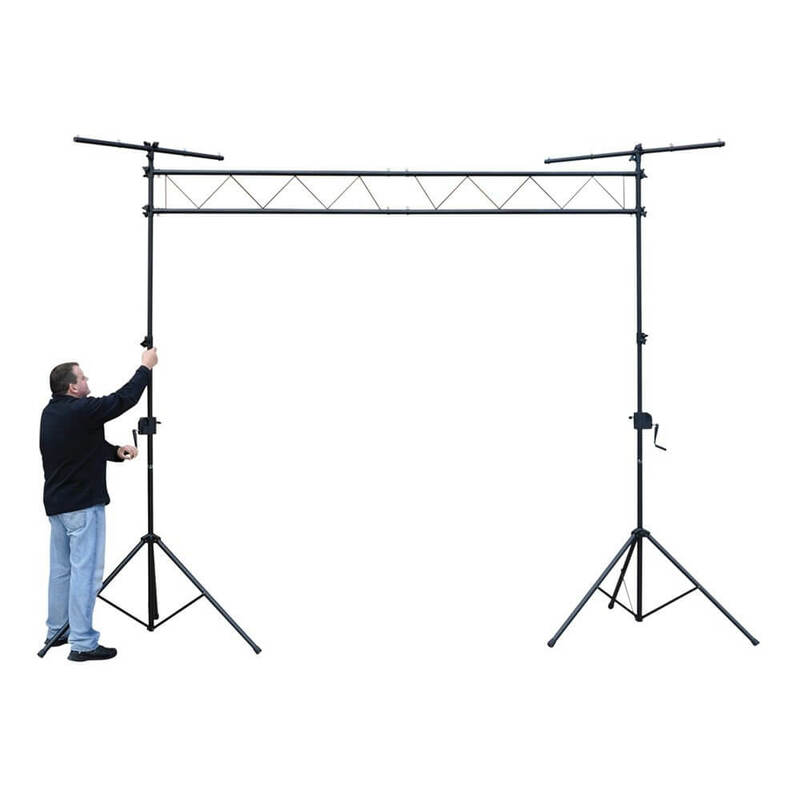 A complete high-quality trussing lighting bridge system with a pair of wind-up stands and a triangular lighting bridge which provide a stable and flexible rig for lighting effect units, ideal for most venues. The product is easy to assemble using the winches. 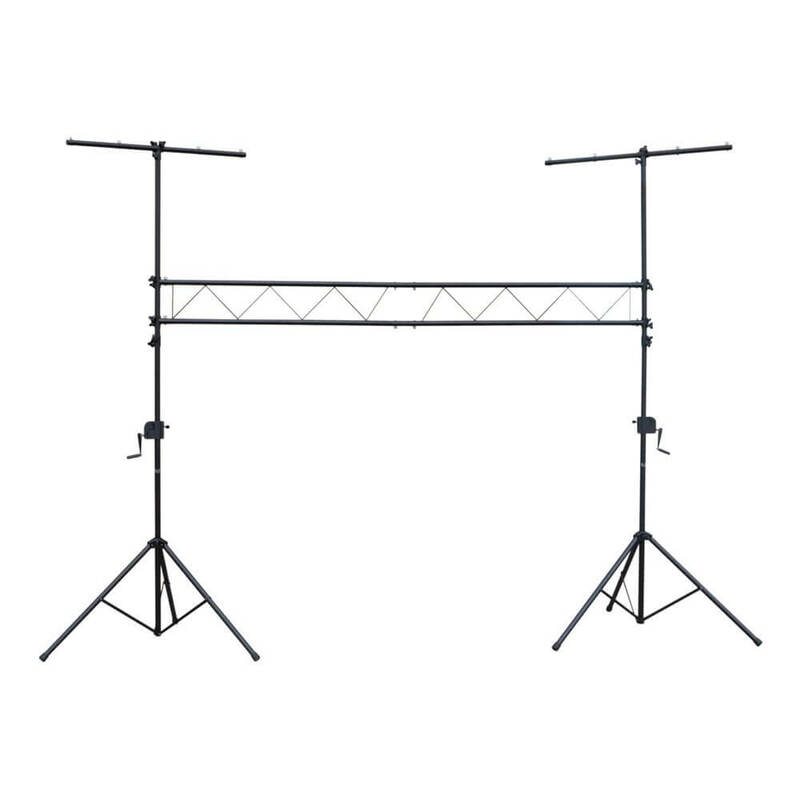 The lighting bridge features a 3m span and a maximum height of 3.5m and has a maximum load of 50 kg. 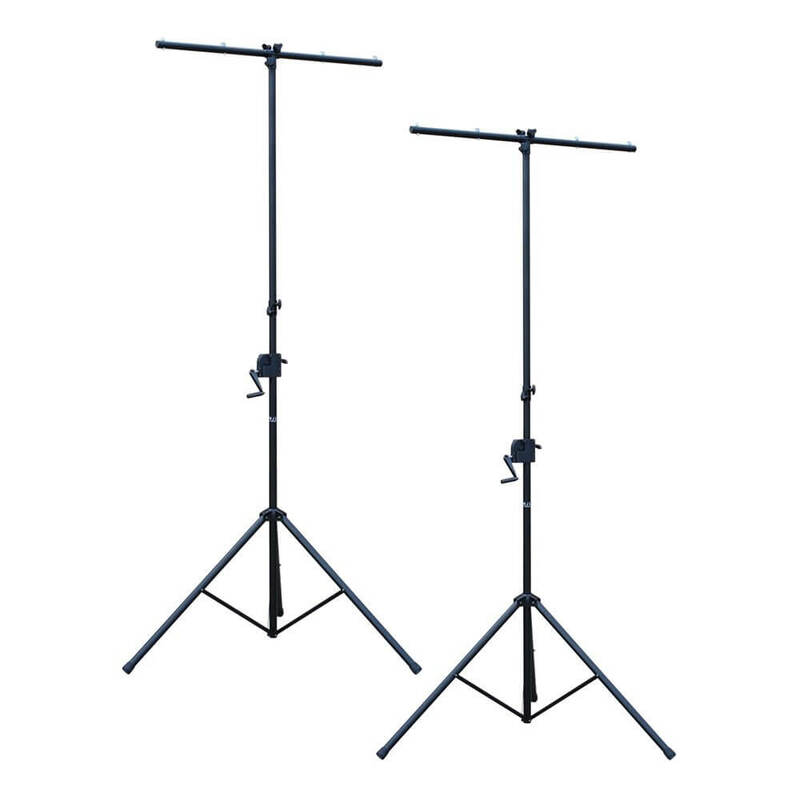 A complete high-quality trussing lighting bridge system with a pair of wind-up stands and a triangular lighting bridge which provide a stable and flexible rig for lighting effect units, ideal for most venues. The product is easy to assemble using the winches. The lighting bridge features a 3 m span and a maximum height of 3.5 m and has a maximum load of 50 kg.